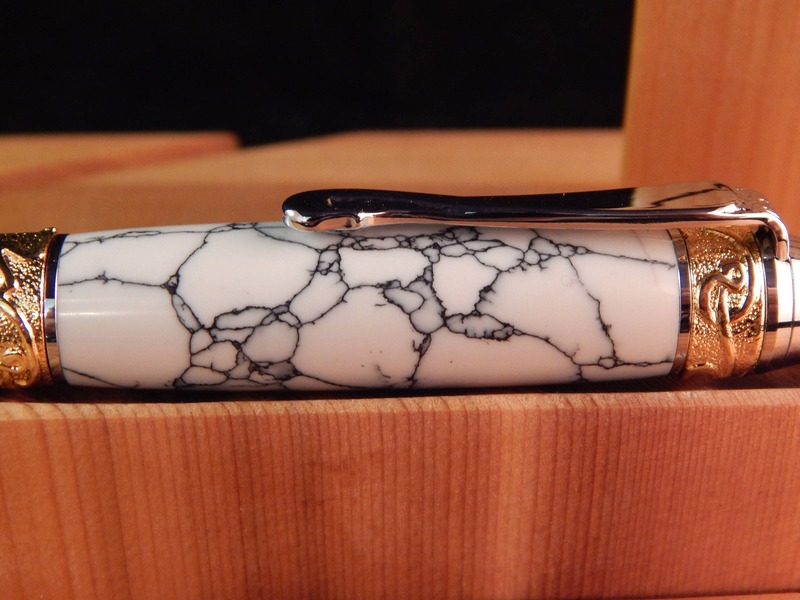 This Nouveau Sceptre ballpoint pen was crafted Penn Stone which is white stone with black veins running through it. 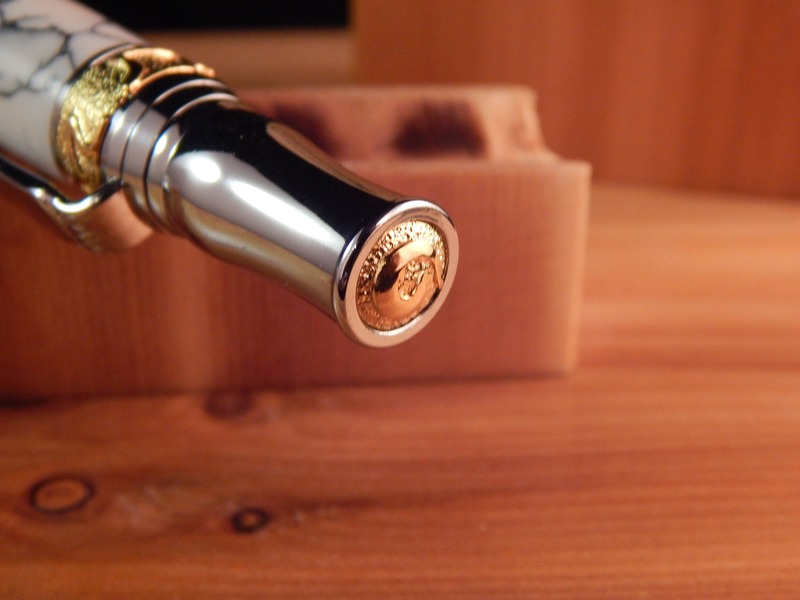 The pen has chrome and gold fittings. 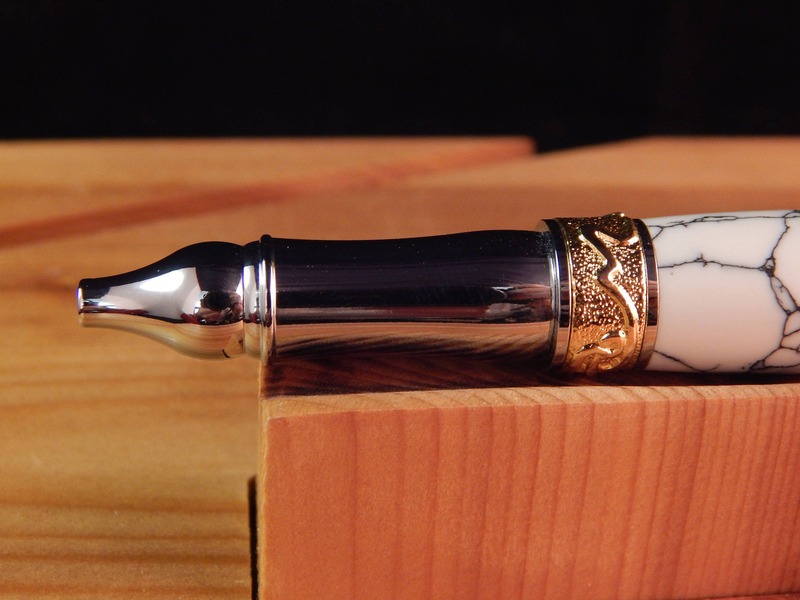 This is one of the more intricate ballpoints available. 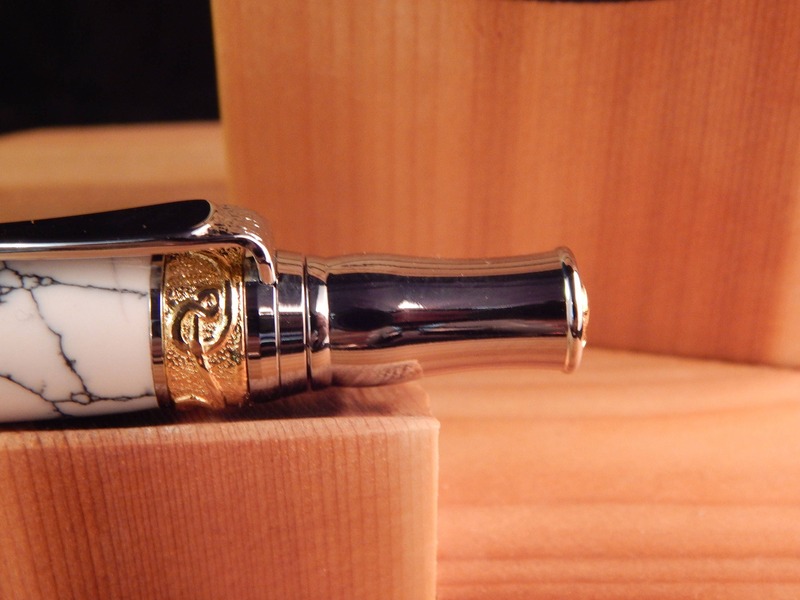 The pen features custom casted 3-D Art Nouveau design components and premium plating. 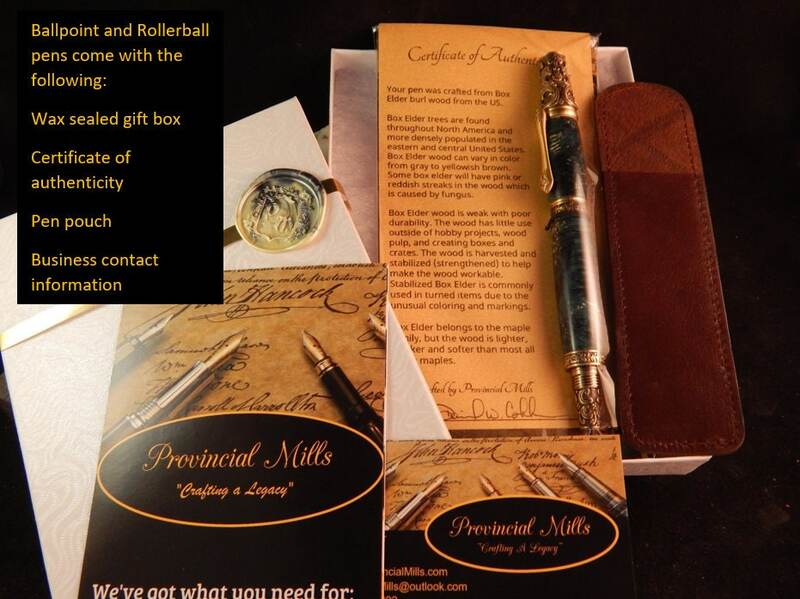 This pen is well balanced and is a pleasure to write with. This pen does take Parker style refills. 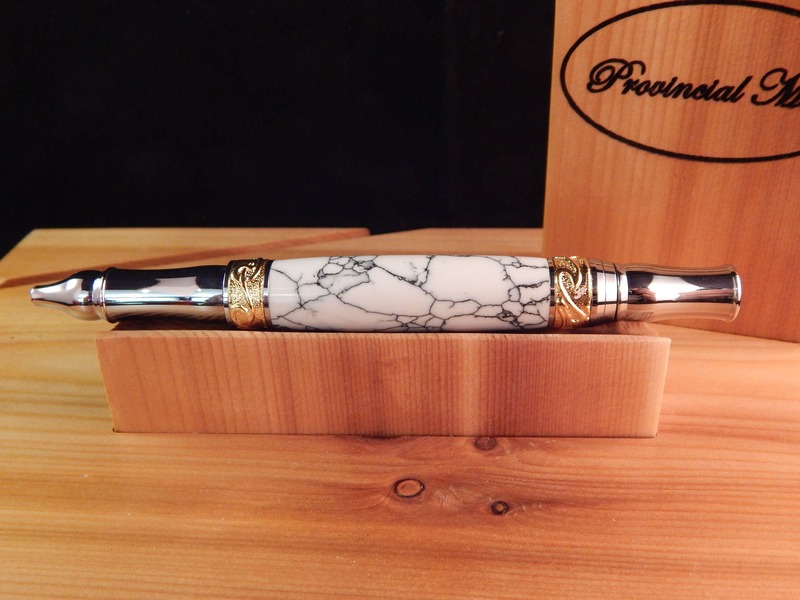 Penn stone is pulverized stone which is combined with pigment and resin to create a pen blank which can then be turned on a lathe. These blanks provide an extremely smooth surface and polish nicely. 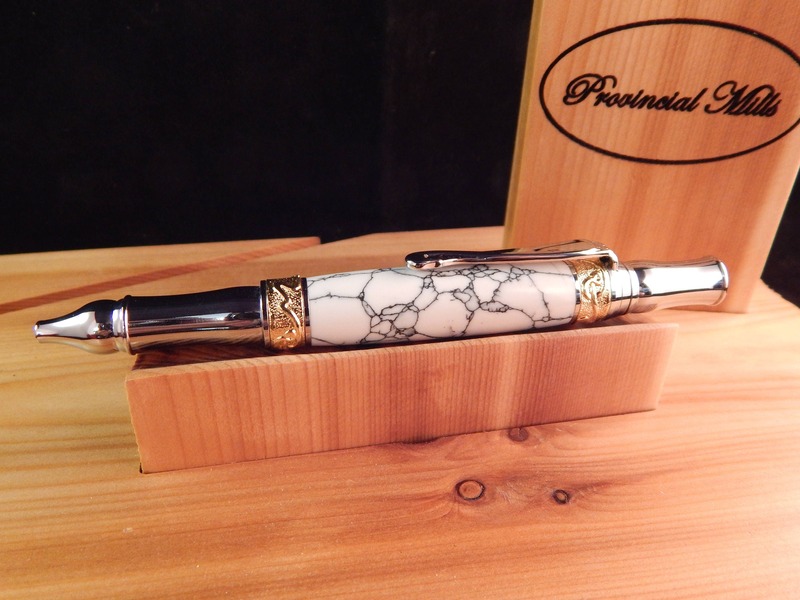 The end result is a pen the looks like a solid piece of stone with a beautiful design.